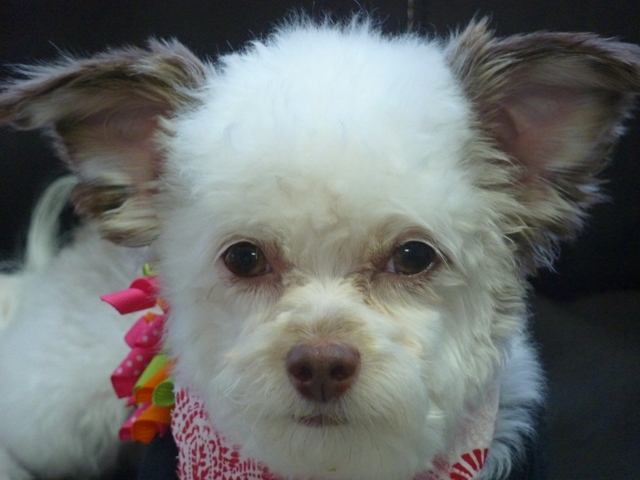 AnnaBelle’s Pet Stars – Cha Cha! 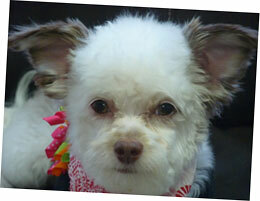 I was born in Howell on February 5, 2009, to a Chihuahua father and a Toy Poodle mother, so they call me a Poochie. Although, I was obviously the prettiest out of my litter, I was so shy that I was the last to be adopted. When my mom came to see me, I knew she was the one, so I was friendlier to her. She held me, gave me a sweet kiss on the cheek, and put me down. To my breeder’s surprise, I walked back to her and wanted more attention. It was a match made in heaven. The next day my mom took me to my new home and introduced me to my kitty sisters. My house was wonderful and I loved my mom, but I didn’t want most people to hold me. I would get scared when she would hand me to them or they would pick me up. Instead of playing, I would bark at my kitty sisters and other dogs to try to scare them away because I was scared. I only wanted to be with my mom. One day my mom took me to AnnaBelle’s for a half-day of daycare. They were very nice to me, but I tried to hide under the table. The little dogs were very nice, but I wasn’t confident at all. 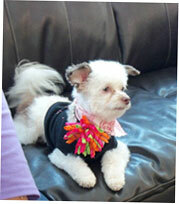 The nice people at AnnaBelle’s encouraged me to play and have fun with the other dogs. Before long, I was playing and having a wonderful time. They taught me clicker training, agility training and some really cool tricks. After a few weeks, when my mom took me in the door at AnnaBelle’s, I’d run down the stairs without looking back. I’m much more confident and have an easier time communicating with dogs and people. I developed a crush on Benny the Chihuahua, so I could hardly wait to go and see him every week. He must have reminded me of my dad. (We’re just friends now.) My mom started taking me to AnnaBelle’s Day Care Depot for a full-day each week, and now I get to go for two full days a week. I have so much fun playing and making new friends. The people that work there are so nice and take me for great walks. 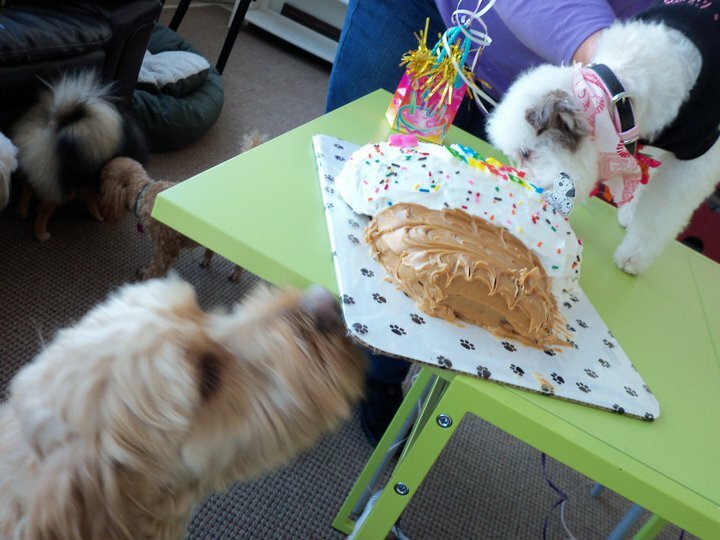 Mom recently held my 2nd birthday party at AnnaBelle’s Day Care Depot, so I could share the fun with my dog and people friends. It’s so great to have a place to go and play where I feel comfortable, playing with dogs my own size or ones that don’t scare me, and the people understand me. 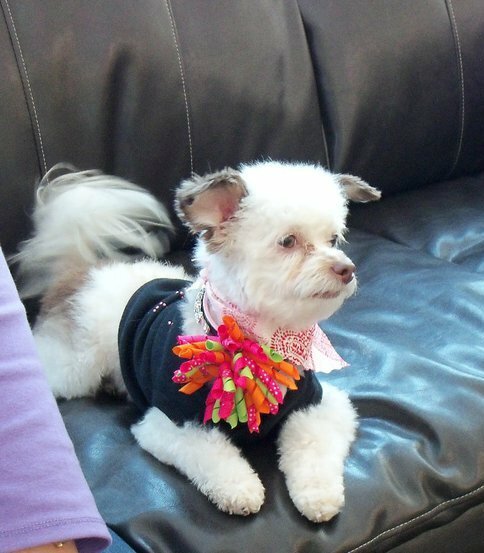 Mom’s going to take me to AnnaBelle’s for some training this summer. She says I’m not quite perfect yet. It’s fun to learn and play at AnnaBelle’s!!! 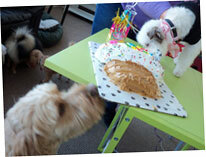 This entry was posted on Friday, June 15th, 2012 at 8:21 pm	and is filed under Day Care, Pet Stars. You can follow any responses to this entry through the RSS 2.0 feed. You can leave a response, or trackback from your own site.